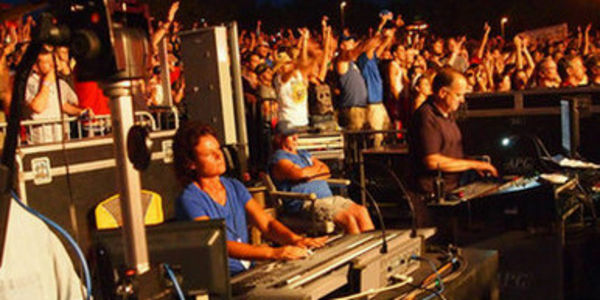 Rhino Staging is a company that staffs many concert venues in the Pacific Northwest. Pull back the curtain and you will see that this company doesn't pay a living wage to workers who support a family, undercuts regional wage rates and comes nowhere close to paying a skilled worker wage based on the training and experience of these backstage artists. Rhino Staging also fails to offer health care or other benefits. Backstage can sometimes be dangerous, while Rhino may require its staff to wear steel-toed shoes, it doesn't adhere to the same safety standards and training in place in concert halls and amphitheaters coast-to-coast. Rhino has high turnover and fails to provide entry-level training for new workers. Other workers who raise concerns are often not called back for future work. This fosters a culture where workers are afraid to speak up out of fear for their job security. Rhino workers in Washington and Oregon have voted to form a union to address these issues, but Rhino's owners have resisted for months and months to even sit down at the bargaining table and bargain in good faith as required by labor laws. What makes this even worse is many concert venues in the Northwest are publicly owned. Should a company that refuses to bargain in good faith, that doesn't pay a living wage and refuses to provide workers job security operate on public property? Now that you know some of the things happening backstage don't just sit back and listen to the music. Help. Tell Rhino: We don't want you working in our concert venues unless you treat backstage workers fairly and fairly negotiate a contract. Please add your name in support of Rhino workers. Help us pull back the curtain. Stand up for a fair living wage and fair treatment backstage.